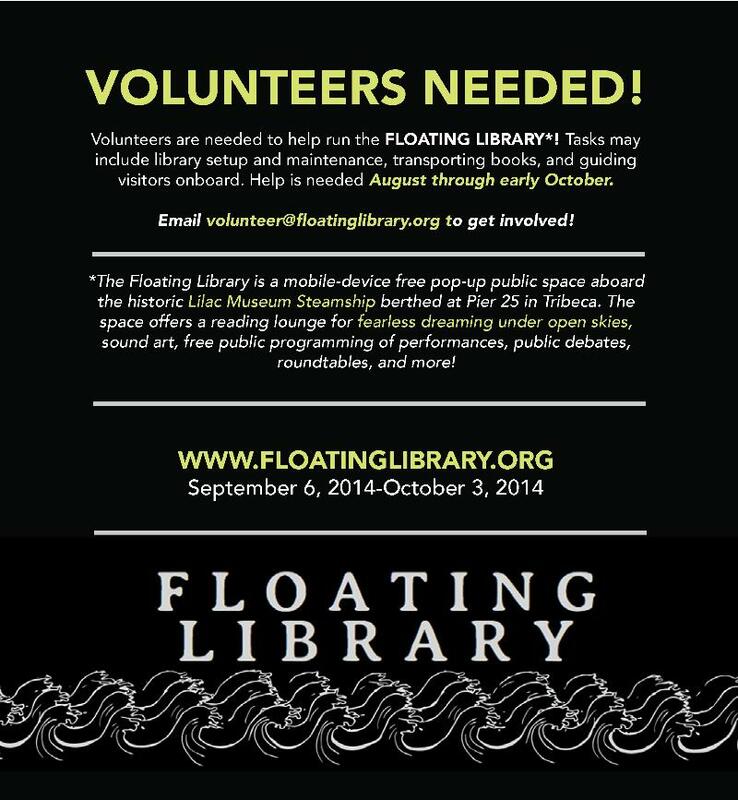 This is a 100% artist-run project and we need volunteers to help keep the Floating Library in full operation mode! Responsibilities may include helping to setup the library, running the snack bar, picking up books from donors, guiding visitors, library maintenance, monitoring the Listening Room! Please email volunteer@floatinglibrary.org a bit about yourself, what you may be interested in doing, when you are available to help and why you would like to get involved. We need a lot of help the second and third week of August and all of September. Thank you for your generosity!